Usually when Halloween is over, I feel a bit sad. I’ve always been a purist that the Christmas season shouldn’t start until Thanksgiving, but it’s not a holiday that requires much prep outside of the week of the event. There’s usually a bit of a blank spot on the calendar as visions of pumpkin pies dance in our head. 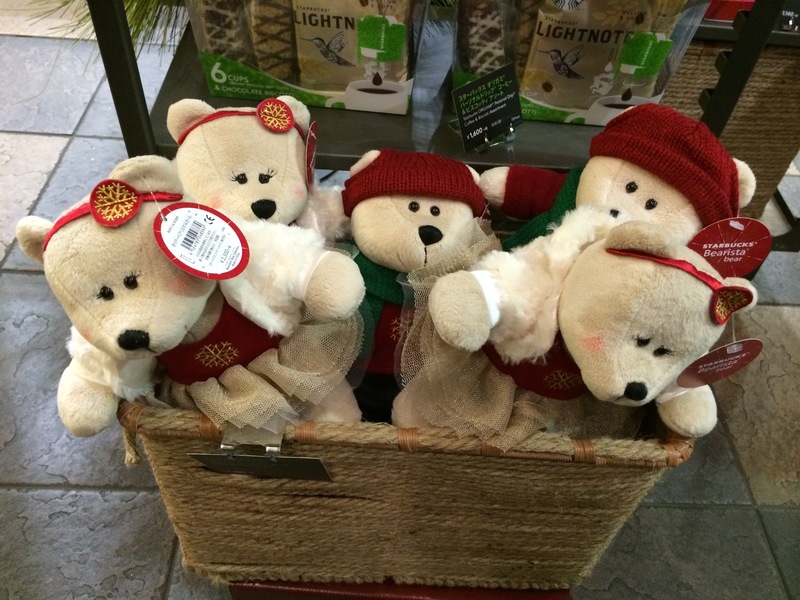 Japan has no such obligation, however–Thanksgiving is no speedbump on the highway to Christmas, and it’s pedal to the metal as we bear down on the end of 2014. November 1st dawned bright and clear as the new seasonal offerings were released across a number of channels. 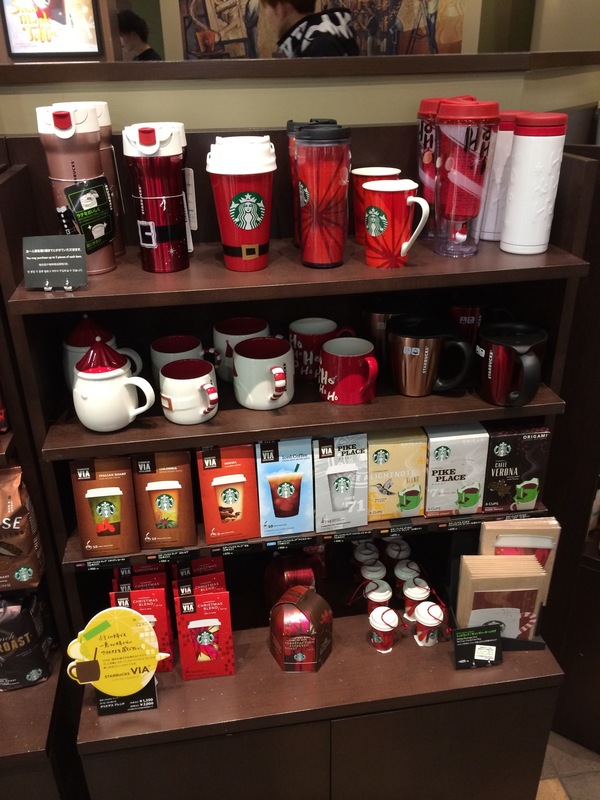 The most exciting (to me, anyway) was the new holiday offerings at Starbucks. I was definitely ready to move on from Starbucks’s Pudding Frappuccino, as tasty as it was. 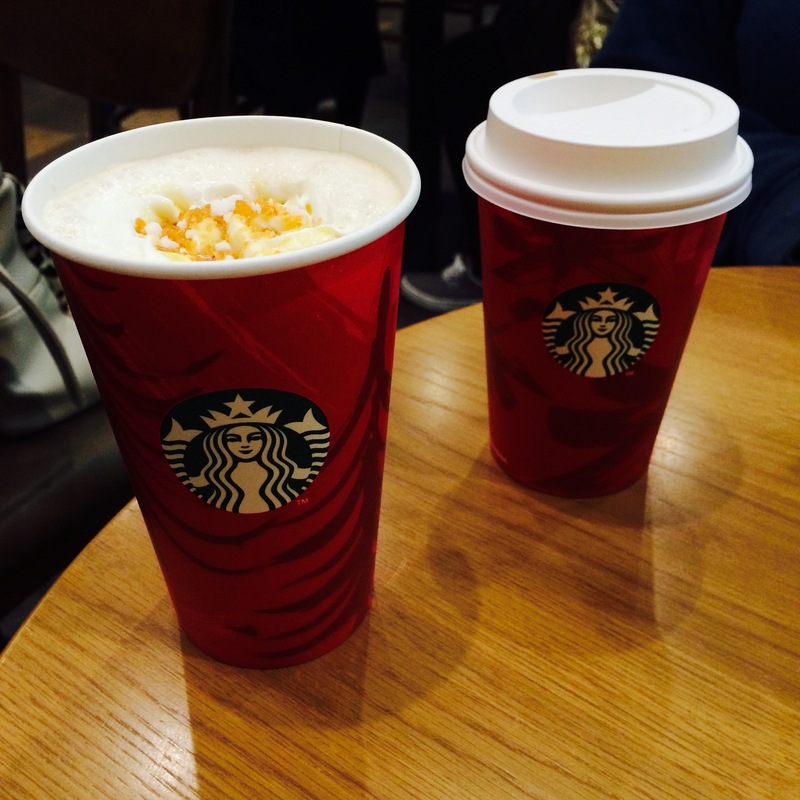 That’s right, red cups are back, but the lineup is fairly different from North America. In fact, Gingerbread is the only consistent drink at the moment. Caramel Brulee sounds fairly similar to the new Snow Maple, but Peppermint isn’t even close. After all, mint is a summer flavor here, thanks to it’s cooling properties. I love seeing how different cultures evaluate and categorize the same tastes. Peppermint? In winter? How strange! 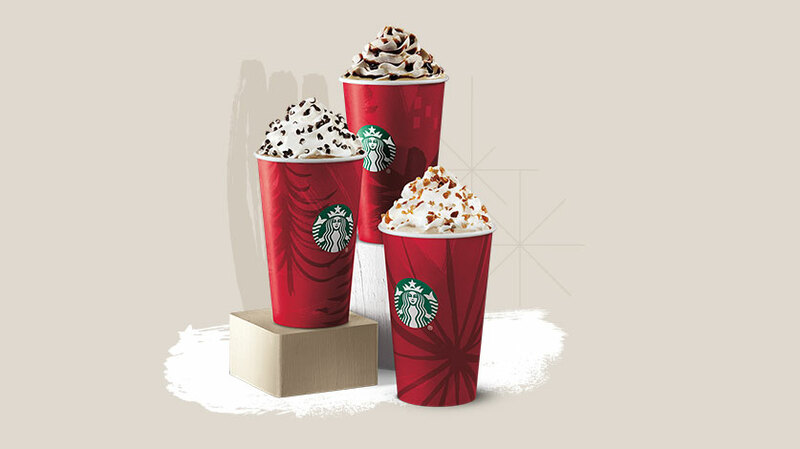 On that note, most of the rest of Asia seems to be carrying the Peppermint mocha but no Gingerbread, instead rounding out the 3 drink spread with Toffee Nut and the Christmas Cookie. Have any of you tried it? Is it like a sugar cookie, or does it have some spice? I suppose the concept of Gingerbread doesn’t have enough cultural penetration to be worthwhile as a flavor offering in Malaysia, the Philippines, or Korea. Interesting! 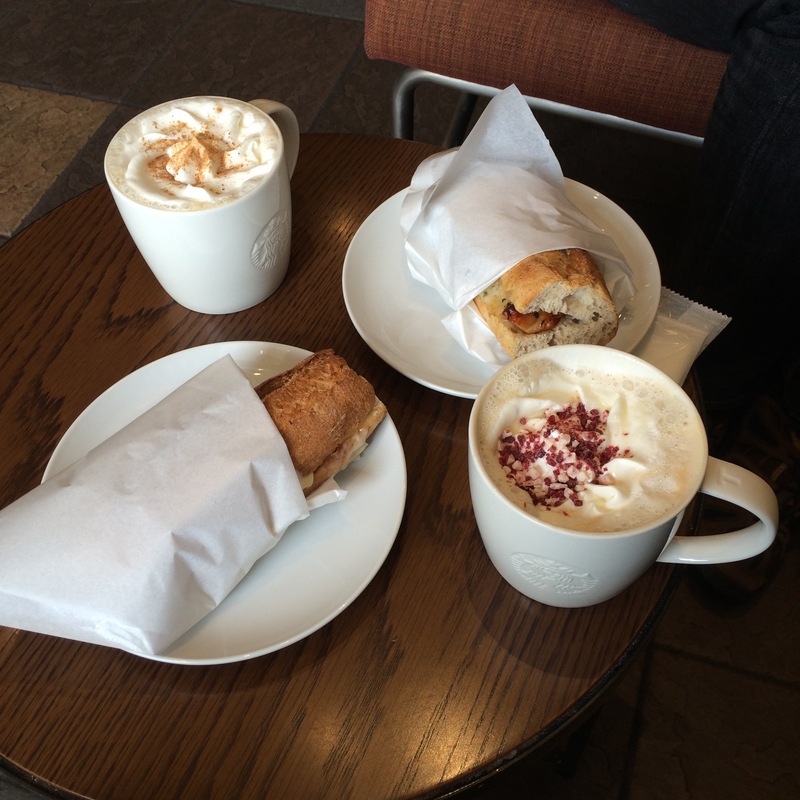 Also, the Gingerbread here is the classic, without the molasses drizzle or flavored whip on the North American drink. China seems to be completely mixing things up–bucking the trend by dropping the Gingerbread and the Peppermint and instead adding an exclusive Tiramisu Latte. 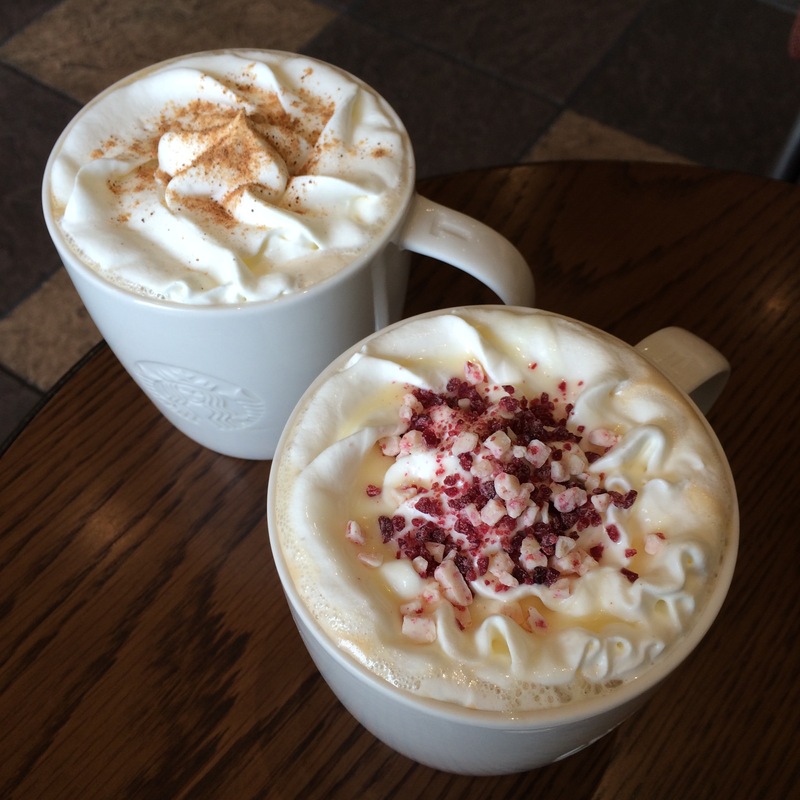 Their Cranberry White Mocha has a cranberry swirl, as opposed to Japan’s White Chocolate swirl, and the Toffee Nut seems to be the same as in most of the rest of Asia. India has no Christmas branding whatsoever, leading off with a simple white mocha at the moment. I went completely down the internet rabbit hole of Asian Starbucks comparisons for this one! 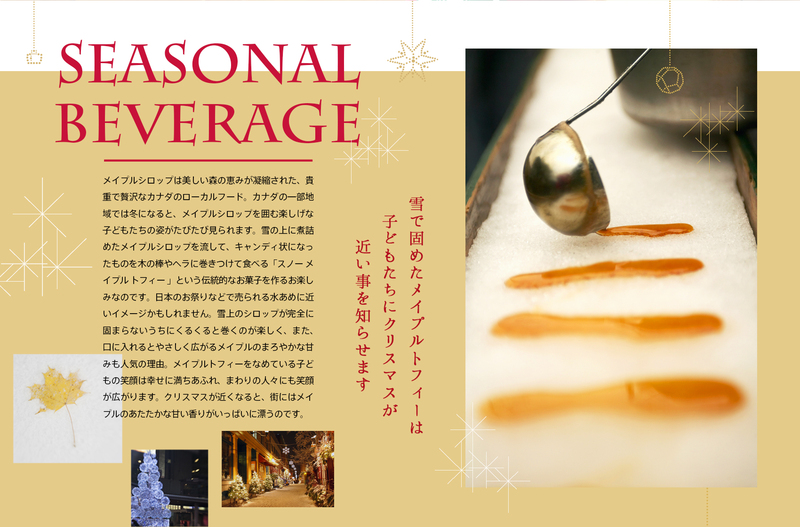 The primary marketing push in Japan seems to be behind the Snow Maple Toffee, available as both latte and frappuccino. The packaging is lovely, and the drink is supposed to remind us of Maple Taffy, or La Tire as it’s known in Quebec. The image of maple syrup glistening on sparkly snow is certainly evoked, as there’s a candy sprinkle on top that sparkles in the light. A mix of maple and what seems to be plain sugar, it adds a crunch and perhaps even more sweetness to this dentist’s nightmare. If you like your drinks sweet, this is the one for you! I have fond memories of pulling maple syrup across snow, and I appreciate the nod to Canada. The marketing is evocative and festive in a unique way, and I give top marks for the presentation. It’s a little sweet, but with a maple drink that’s to be expected. 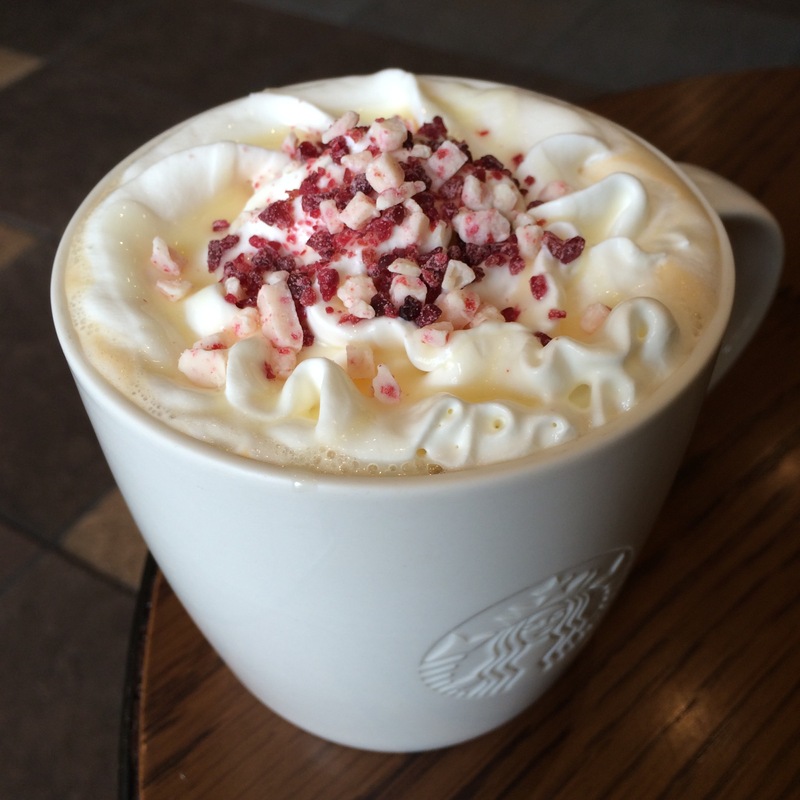 The unsung hero of this season’s lineup, however, is the Cranberry Bliss White Mocha. This drink appears to have been available in some test markets in the US, but as far as I can tell hasn’t been a part of the widespread rollout in the US. It does seem to have been on the Malaysian menu last year–I’d love to see the data behind Starbucks’ global test market strategies. Anyway, the star here is the sprinkle! On top of the whip there’s a hefty topping of dried cranberry chunks and white chocolate. Dried fruit add an unusually chewy texture that pairs nicely with the softness of the white chocolate. The chocolate melts as it sinks in the drink, but the cranberry chunks stay whole and soft. The tang of the fruit nicely counterbalances the sweetness of the white chocolate, and I think overall this is the stronger of the two new Holiday drinks. The cranberry bliss bar has, of course, been around for years, and I’m glad to see it back in the case. 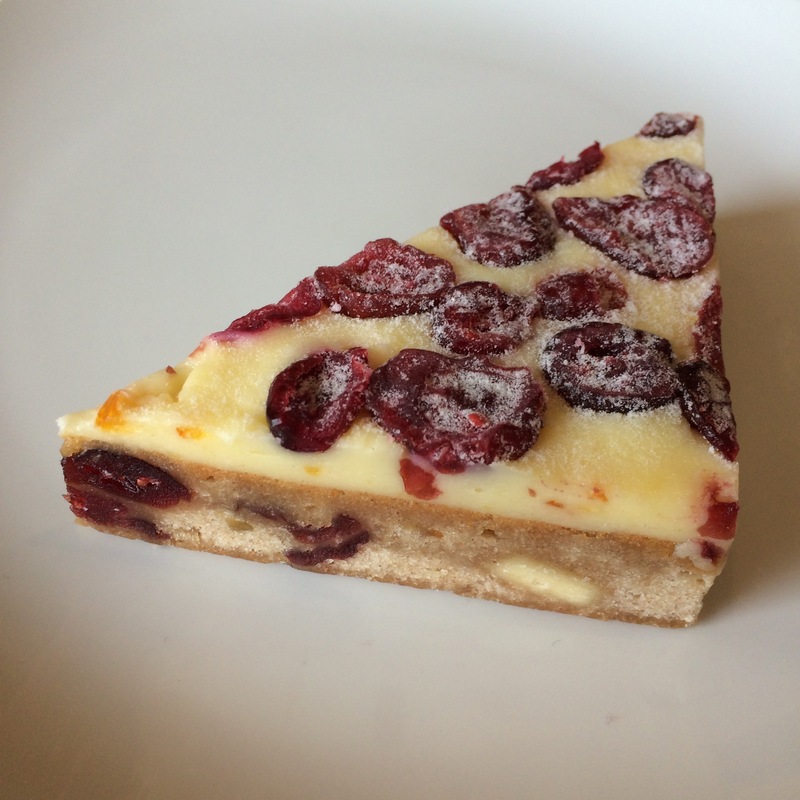 Combination of blondie with cream cheese topping, white chocolate chunks and dried cranberry pieces, it’s always been one of my favorites. It’s nice to be able to enjoy it both in snack and drink form this year! 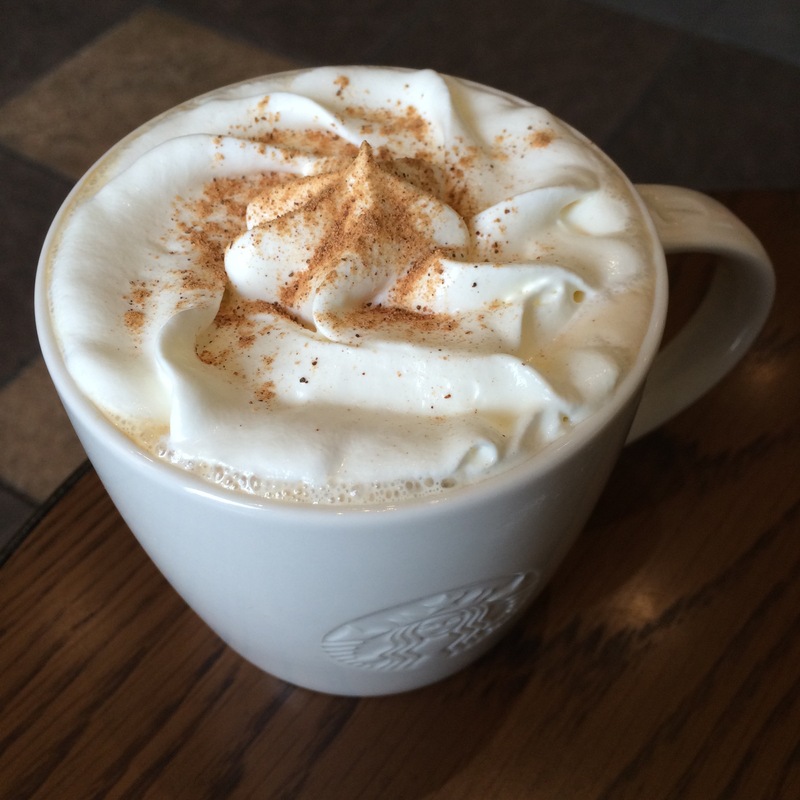 Have you tried any of the holiday drinks yet? Which would you prefer? How about that molasses drizzle on the American Gingerbread, am I missing out? Oh, and if you use LINE, there are currently some free Holiday stickers available! This entry was posted in Food!, Japan, Starbucks and tagged chrismtas, christmas cookie, cookie, cranberry, gingerbread, holiday, holidays, Japan, Japanese, Japanese Christmas, Japanese Starbucks, korea, life in Japan, malaysia, maple, peppermint, philippines, snow, Starbucks, taffy, toffee. Bookmark the permalink.